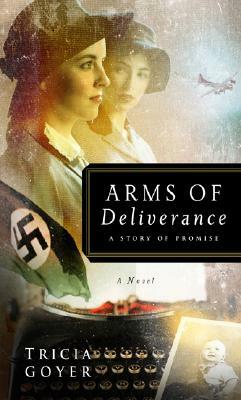 Arms of Deliverance is the fourth and final chapter in the thrilling World War II series. Mary and Lee have gone from best friends to competing WWII journalists, but a bombing raid gone wrong puts Mary's life at risk and sends Lee on a heroic rescue attempt through the fierce teeth of combat. Then, amidst an adventurous struggle for freedom, they uncover the story of the unspeakable Lebensborn atrocity. With equal doses of adrenaline and poignancy, Tricia Goyer's storytelling brings well-crafted characters to life in a graphically authentic World War II setting. She places readers not only behind enemy lines into the heat of battle, but also deep into the innermost sanctuary of the human heart.